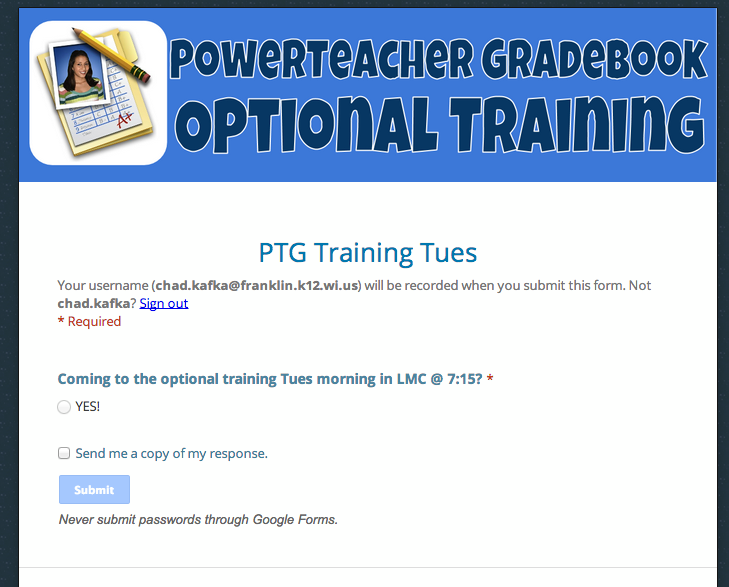 Earlier this month, Google updated Google Forms so we can now customize the look of a form. Since I'm all about the snazz, I immediately took to this! I just made a template for a banner to share out to my staff with some directions on how to get started. Took some screenshots along the way and included those on the template as well. Banners just have to be 1200 pixels wide by 300 pixels tall (like Google+ Event or Hangout on Air custom banners). Here's a link to the Google Drawing Banner Template I made. The template contains directions and screenshots for how to set up a custom banner. If you like this, save it to a Google Drive folder of yours for access later! Enjoy!